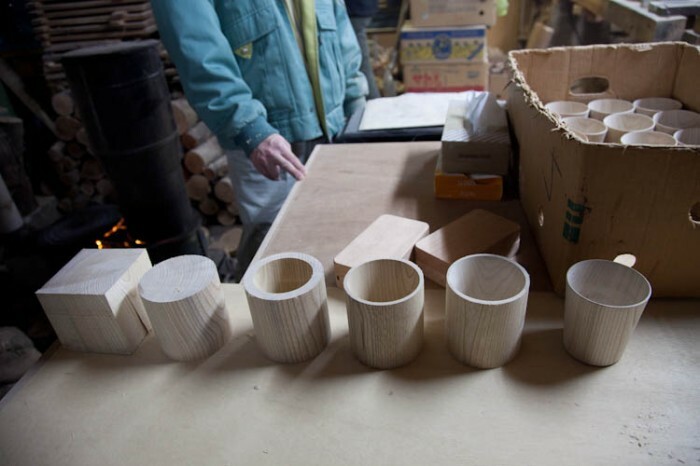 Via The Scout, KITKA Design Toronto posted on their travels to Asahikawa, Japan. They were able to visit craftsmen working in their studios. The photos from the post are inspiring. I can't believe that they were able to visit Professor Oda Noritsugu, at his house, and to see his Danish furniture collection in person. That must have been quite the experience. It also looks like they ate well! They posted this video of Takahashi Hidetoshi making the above cup. KITKA Design Toronto owns a Scandinavian and Japanese design store, called Mjolk, in Toronto, Ontario Ca. After reading through their blog and looking through their site, I definitely want to visit their store. They have a great eye for design and are interested in the whole design and creation process. They list that they ship to many locations, which I will take as internationally. If anyone has visited their store, let me know.